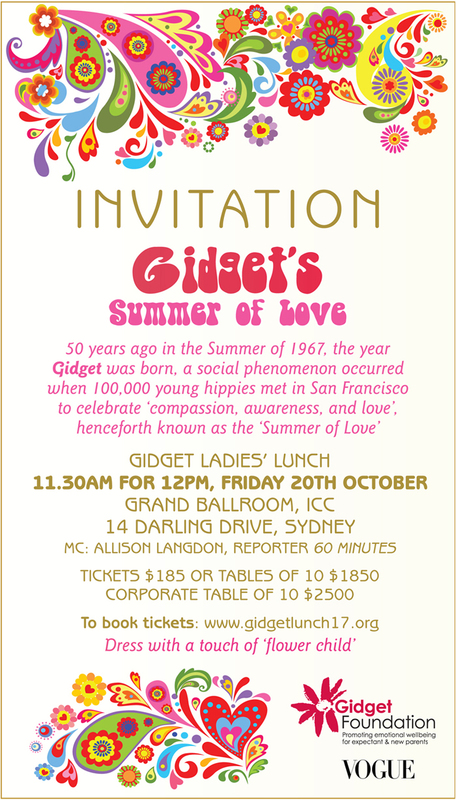 Gidget Foundation warmly invites you to our 2017 Annual Ladies’ lunch. It is sure to be a fabulous day with some amazing silent auction items, raffle prizes and entertaining speakers at the stylish and new Grand Ballroom, International Convention Centre at Darling Harbour. Your MC is the very talented Allison Langdon from the Nine Network’s 60 Minutes, who will guide you though the day with our media partner Vogue Australia supporting our event.